So, as always, I tend to feel I’m a bit late to things. Earlier today my coworker Andy was talking to me about PouchDB. 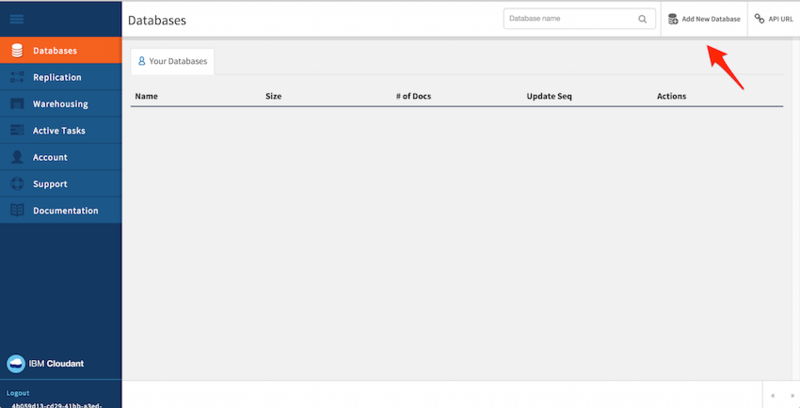 PouchDB is a client-side database solution that works in all the major browsers (and Node) and intelligently picks the best storage system available. It is even smart enough to recognize that while Safari supports IDB, it doesn’t make sense to use it and switches to WebSQL. 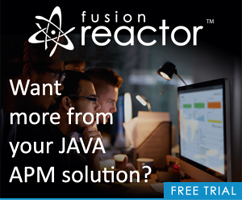 It has a relatively simply API and best of all - it has incredibly simple sync built in. Ok, you’re almost done. You then want to enable CORS for your Cloudant install. In the Cloudant admin, click Account and then CORS. Enable it, and then select what origin domains you want. For now, it may be easier to just allow all domains. Woot - ok - one more step. When using PouchDB and sync, they expect you to supply a connection URL. 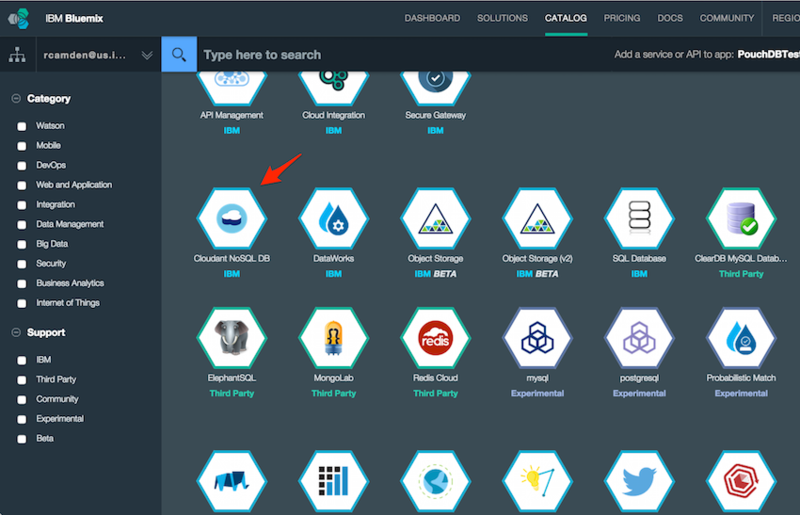 You can get this back in your Bluemix console. Select the “Show Credentials” link to expand the connection data and then copy the “url” portion. And voila - that’s it. If you open your test in multiple browsers, you’ll see everything sync perfectly. 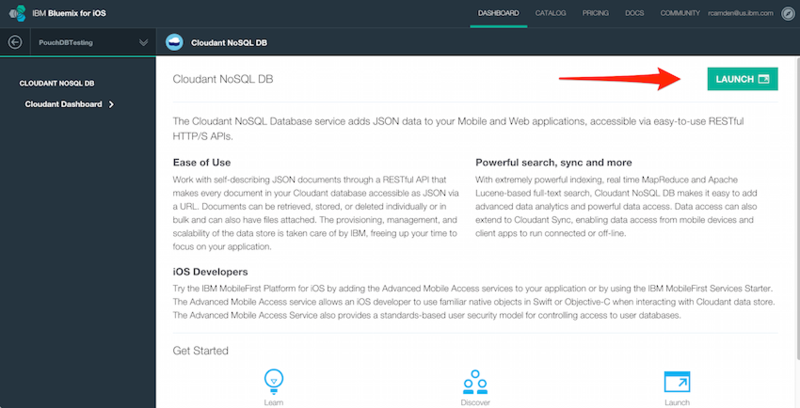 Remember you can also use PouchDB in Node.js, which, coincidentally, you can also host up on Bluemix, so yeah, that works out well too. Edit on June 3, 2015: Oops, that isn’t quite it - but close. 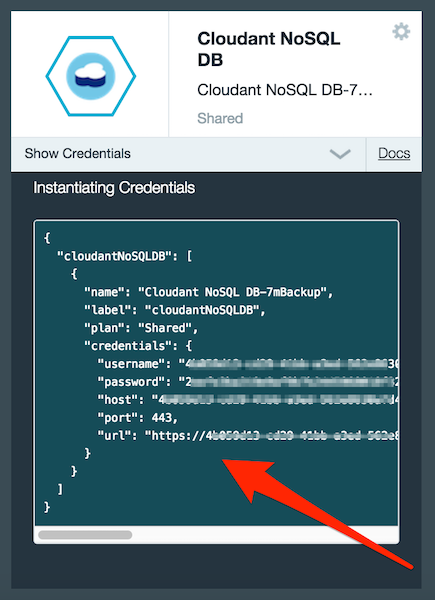 The URL you get from the console is a root URL for your CouchDB instance. In order to work with a database, like todos, you want to add /todos (or whatever) to the end of the URL you use in your code.